Car insurance is one of the most important insurance policies you will ever have. While we hope you never need to use your auto insurance, the truth is that most people will be involved in a car accident at some point in their lives, and many will be involved in more than one. Whether you are at-fault or not, having adequate car insurance can be the difference between moving forward after an accident and engaging in years of legal battles and financial loss. As your trusted auto insurance agent in Houston and Sugar Land, we make it our goal to educate Texas drivers about their car insurance and provide them with the policy plans they need to protect themselves and their finances in the event of an accident. Keep reading to learn more about some of the most frequently asked questions about car insurance. Do I Need To Have Car Insurance In Texas? Yes. If you are driving without car insurance in the state of Texas (or any other U.S. state), you are breaking the law. Every state has different requirements, so be sure you are working with a knowledgeable car insurance agent to be sure you have the right coverage. What Happens If I Am Pulled Over Without Insurance? Consequences will vary for this situation based on the police officer and the reason you have been pulled over. If you are driving recklessly without insurance, for example, an officer might not be as lenient compared to if you simply had a tail light out. If you are caught without insurance during a traffic stop – even without causing an accident – your car can be towed, you can be fined, and your license can be suspended. If you cause an accident and are uninsured, you can be financially responsible for damages and injuries. When you include the cost of repairing or replacing their car, their medical bills, lost wages due to injuries, and compensation for loss of life or limb, you can be looking at tens or hundreds of thousands of dollars. If you do not have the money to pay, you can be sued, your assets can be taken, and you can spend time in jail. You may be thinking you are unlikely to cause an accident that threatens life and limb. However, keep in mind that even a fender bender can easily incur a couple thousand dollars in repairs. Additionally, the other party may sue you for injuries or pain as a result of the accident. In the end, you will almost always pay more out of pocket for an accident than your insurance premium. Collision Coverage: Collision coverage is incredibly important as it pays for damages sustained to your car, even if you are at-fault. This can cover damages for collisions with other cars, objects, telephone poles, or other incidents. Comprehensive Coverage: Comprehensive coverage can reimburse you for items lost to theft or cover repair costs for damage caused by natural disasters (such as floods, hailstorms, or falling trees), vandalism, or if you collide with a deer or bird. 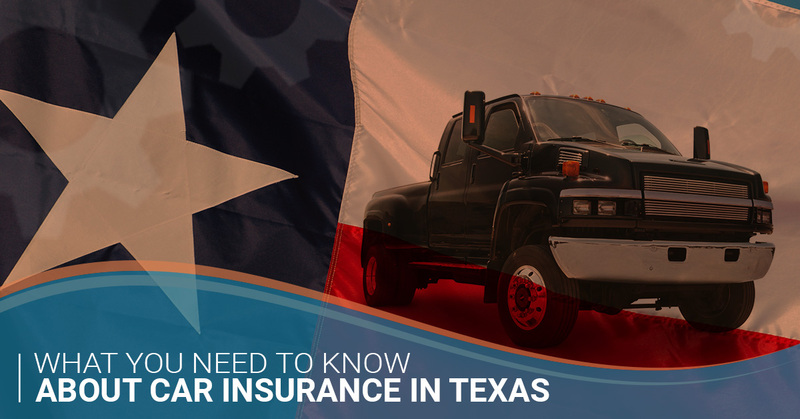 Uninsured/Underinsured Motorist Coverage: Nearly 1 in 5 drivers in Texas do not have adequate insurance, making you out of luck if you are involved in an accident. This insurance covers accidents involved with uninsured motorists, hit and runs, and covers you as a pedestrian if you are struck by an uninsured driver. If you get the bare minimum auto insurance coverage in Texas, you have nothing to protect you and your property if you are in an accident. Even if you are not at-fault, you cannot count on the other driver to have insurance. However, in all cases, some insurance is better than none at all. In Texas, comprehensive coverage is incredibly important. This will cover you if you hit a deer, your car gets washed away in a flood, or heavy hurricane-force winds blow a tree onto your car – none of which we are strangers to here in Texas. Collision coverage is important if your car is worth more than a couple thousand dollars or if you do not have the funds to repair or replace it should it be totaled in an accident. Additionally, if you are still paying for your car, most lenders require that you have comprehensive and collision coverage. Uninsured motorist coverage can often time cover gaps in other policies and is incredibly important if you do not have adequate health insurance, as it can pay for medical expenses if you are injured by an uninsured motorist. In fact, some states even require drivers to have this type of coverage. Where Can I Get A Free Car Insurance Quote? J. Thomas & Associates is more than happy to provide free car insurance quotes online! 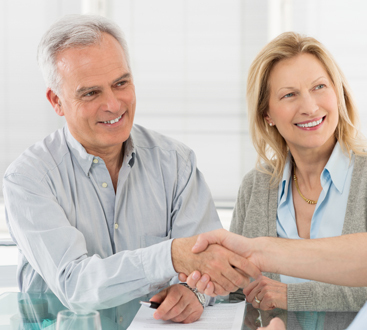 These quotes are no-obligation, and simply help you get a better idea of what we can offer you. Start your journey towards better car insurance today and feel free to get in touch with us if you have any questions about how to get car insurance in Houston or Sugar Land, Texas.